Kite Film Fest Submissions Are Now Open! 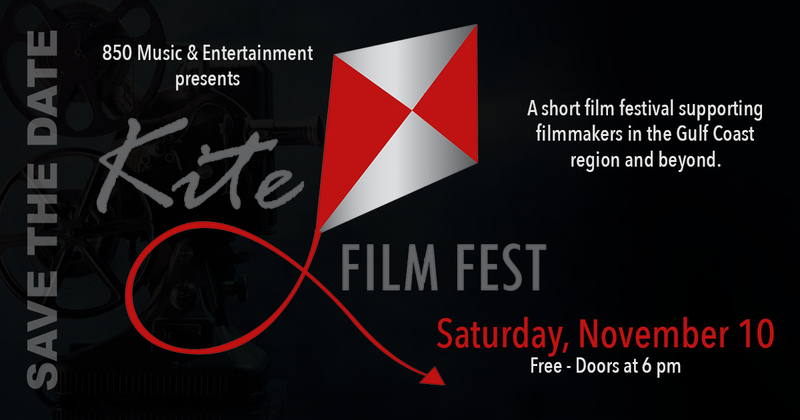 The third annual Kite Film Fest will take place Saturday, November 10th at Club LA in Destin. Submissions are currently open for the short film event. The mother/daughter team behind 850 Music & Entertainment, with the support from Rock Destin and Club LA, launched Kite Film Fest in 2016. “Our goal is to create an event that supports our local film community – an opportunity to see their hard work and passion projections on the big screen” explains Heather Hedrick. The submission process is open until September 1st. Kite Film Fest prides itself on simple, inclusive rules that can be viewed on their official website: www.KiteFilmFest.com. The film festival is named in honor of their family surname – Kite – especially Heather Hedrick’s parents Gilbert and Ellon Kite. The Kite Film Fest will take place Saturday, November 10th 2018 at Club LA in Destin. This entry was posted on June 16, 2018 by 850music in Posts.